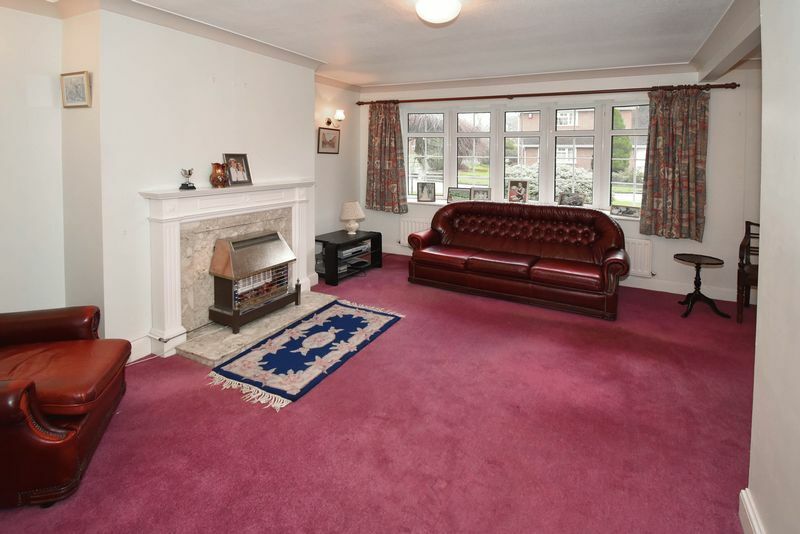 Briefly the property comprises: large entrance canopy porch; reception hall; cloaks store and separate airing cupboard; sitting/ dining room; kitchen/ breakfast room; two double bedrooms; separate WC; bathroom; attached single garage; PVC double glazing; gas central heating; generous mature gardens. For many a local amongst us, Henshall Hall needs no introduction! Built by builder of repute Seddons, the estate is hugely popular within the Congleton resale market. 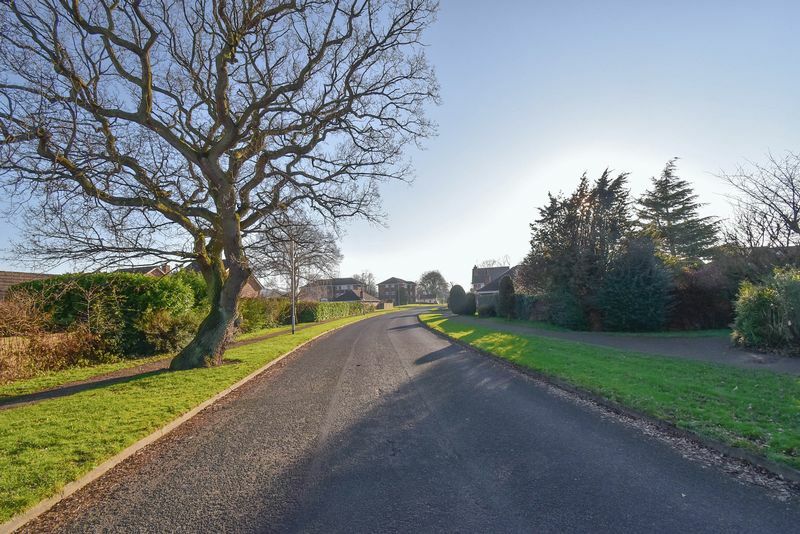 And with large houses, large plots, plenty of parking, lots of greenery, and its proximity to shops, train station and the Macclesfild Canal, its easy to see why! Ask any local estate agent which areas are the most requested in the Town, and Henshall Hall will be one of the first to be mentioned. 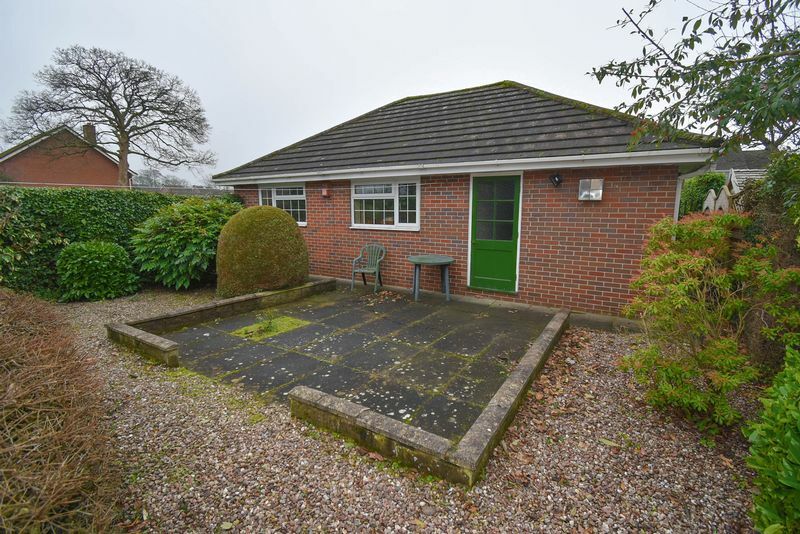 It could also be argued that due to popularity, that this style of bungalow within the estate sits on its own pedestal, as the holy grail of the bungalow to downsize in to! With its proximity to so many facilities, acquiring a property here can future proof your move. 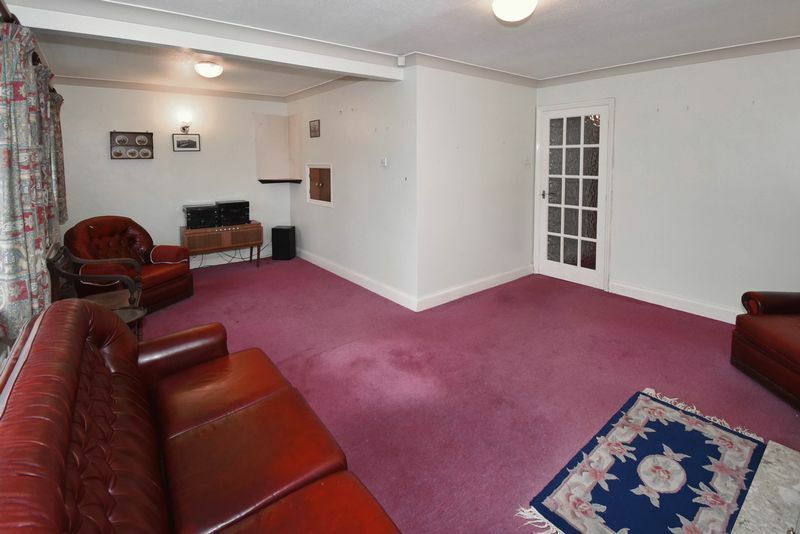 The property paints an honest picture having been a happy home serving the same current occupier for many decades. Now the property is ready to be restored to its former glory as it passes back in to circulation. We consider the home to be maintained and in a perfectly liveable condition. This is not always the case for resale bungalows! The sale of the home represents a rare opportunity to acquire one of the larger style bungalows within this esteemed estate, as historically only a handful become available for sale each year. 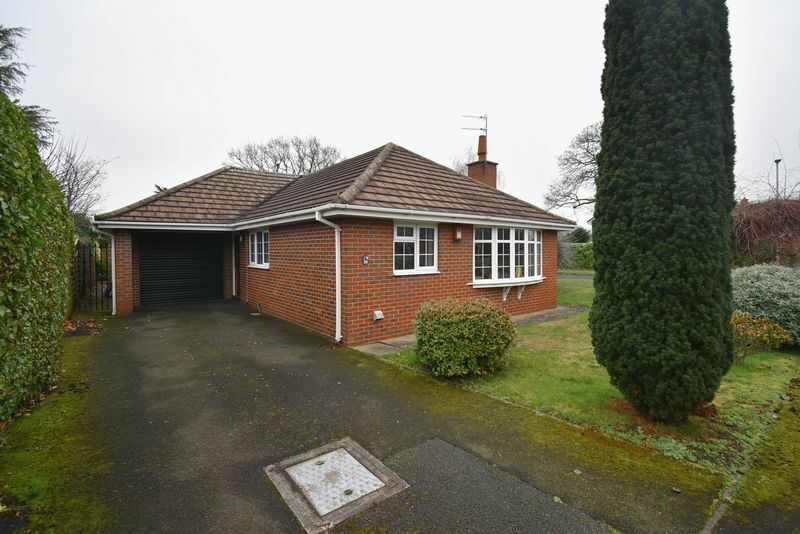 I have reviewed the same and can only find seven Henshall Hall bungalows offered for sale within the last three years. 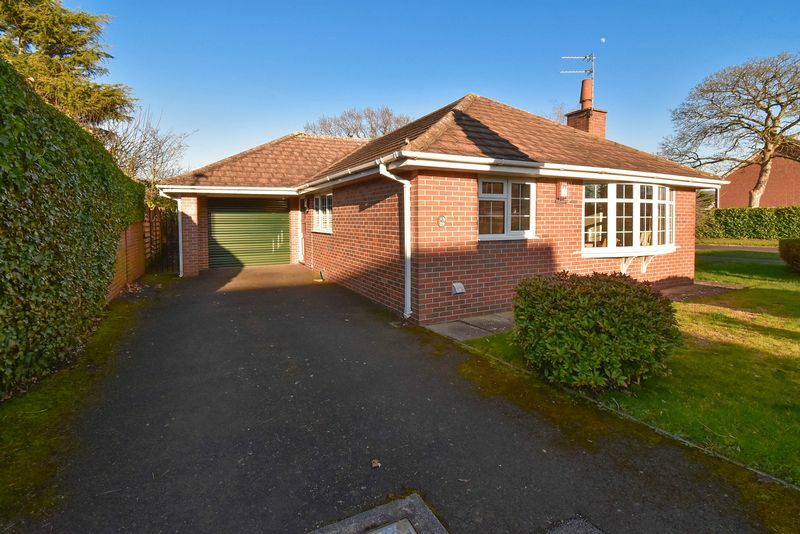 This model of bungalow is favoured, being larger and with the big benefit of having an attached garage with internal access to the home. 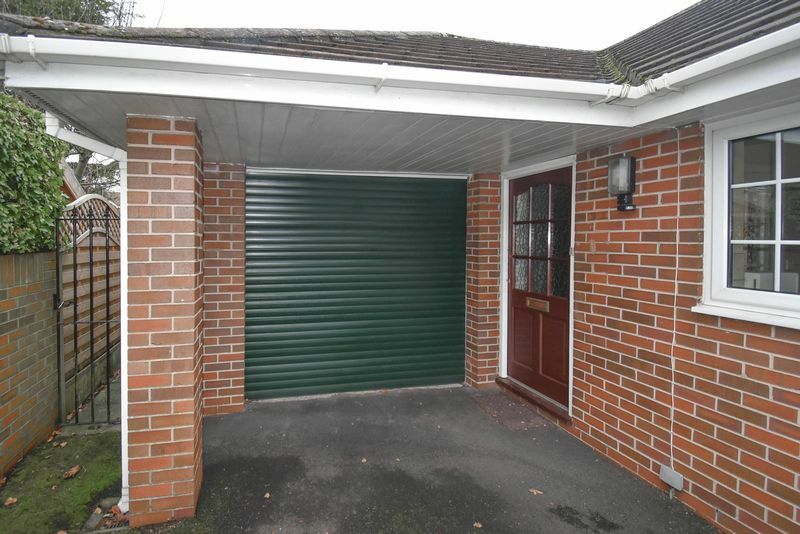 On the main, smaller variants have detached garages, which lose the synergy of attachment, and the lack of the ability to covert and integrate in to the house accommodation. They are also generally positioned within the rear garden and so detract from the size of the rear garden. 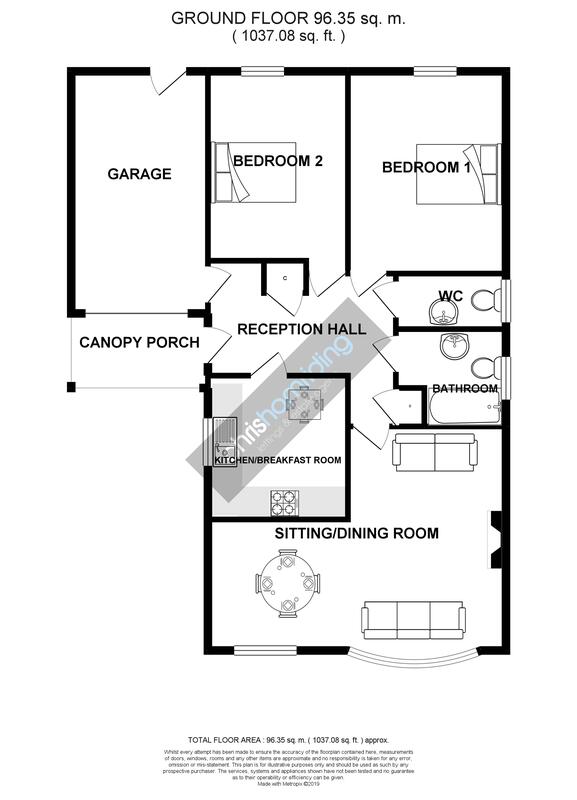 This larger model also features a larger reception hall with a separate WC. The separate WC is positioned alongside the master bedroom and so offers easy potential to convert it in to an en suite shower room. 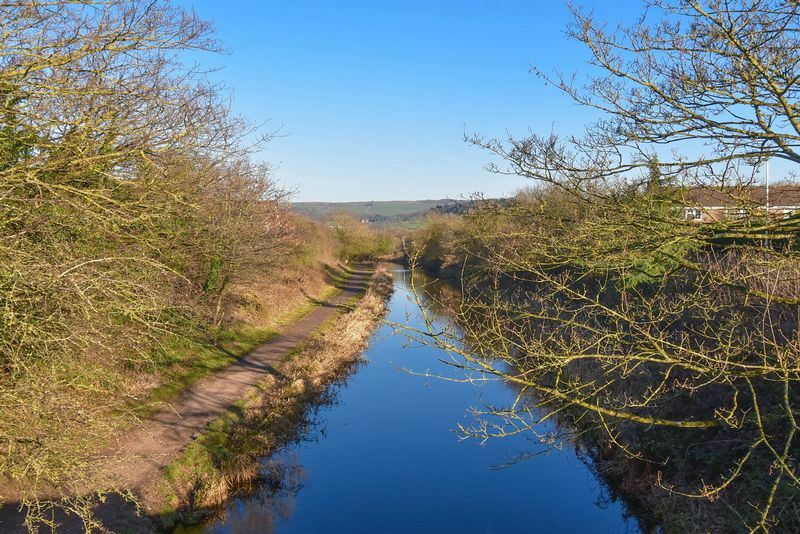 The property is situated just a stone throw from the Macclesfield Canal and so a lovely countryside walk could easily become part of your daily routine. 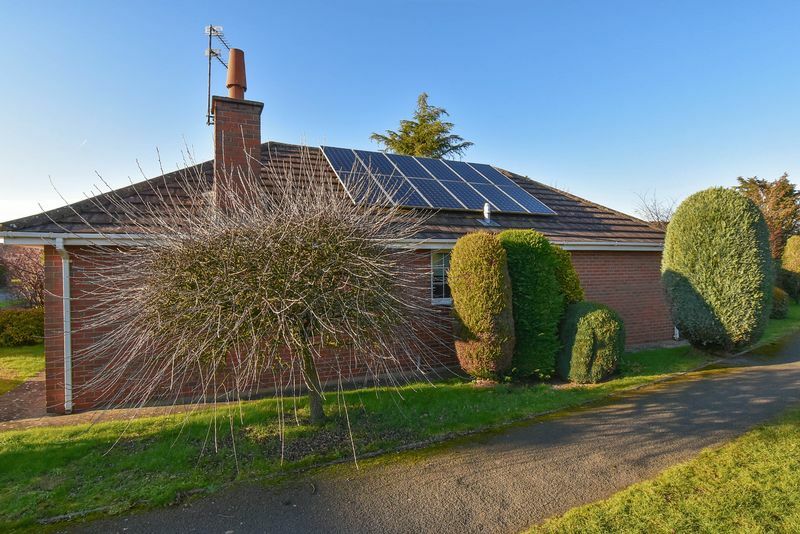 Although the home is set well back from the busy Biddulph Road, it is also not too far in to the estate making walking to the local shops or Train Station an easy thing to do. 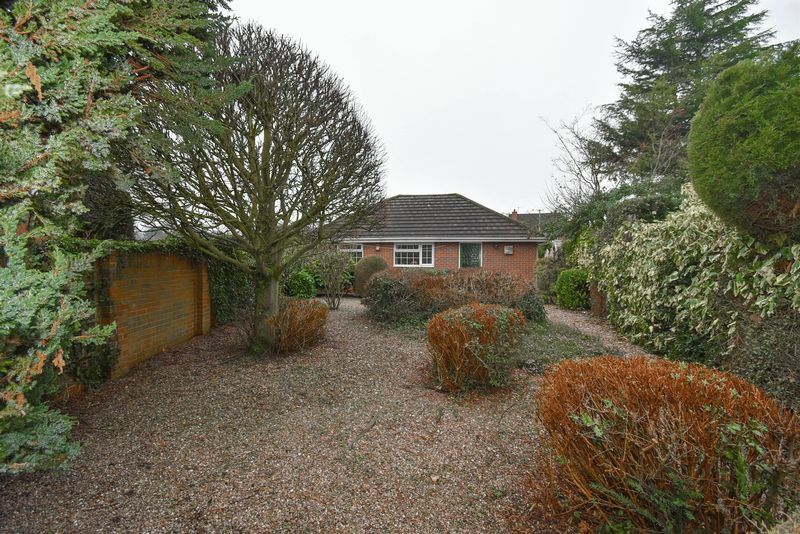 The home is positioned on an end plot just off Henshall Hall Drive, where from the front you can see local activity and watch the world go by. 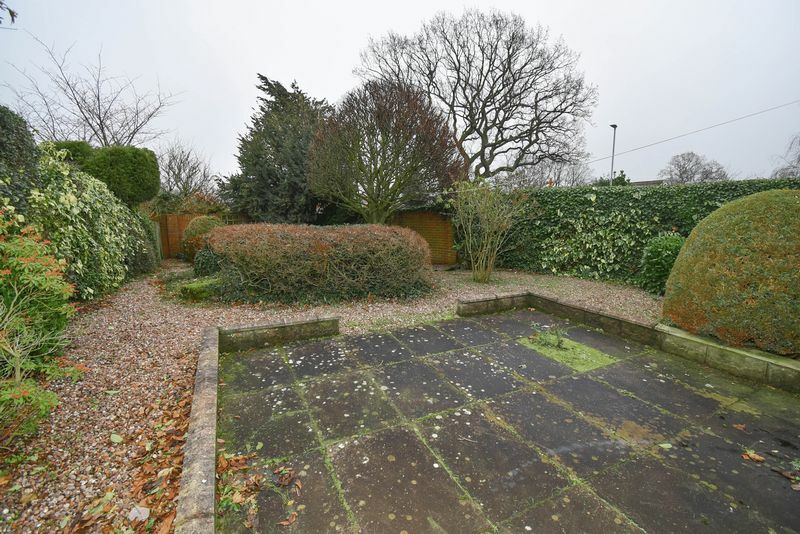 The rear enjoys excellent degrees of privacy with its walled garden having no property built directly behind the home. This home offers many levels of subtle desirable attributes, in addition it is the most desirable model to own, and historically, the opportunity to acquire this is a rare one. We feel that the price affords the scope to modernise the home, and, post modernisation, you will enjoy the home for many years to come. Deep canopy providing weather cover over the house and garage entry. Part glazed external door to the reception hall. 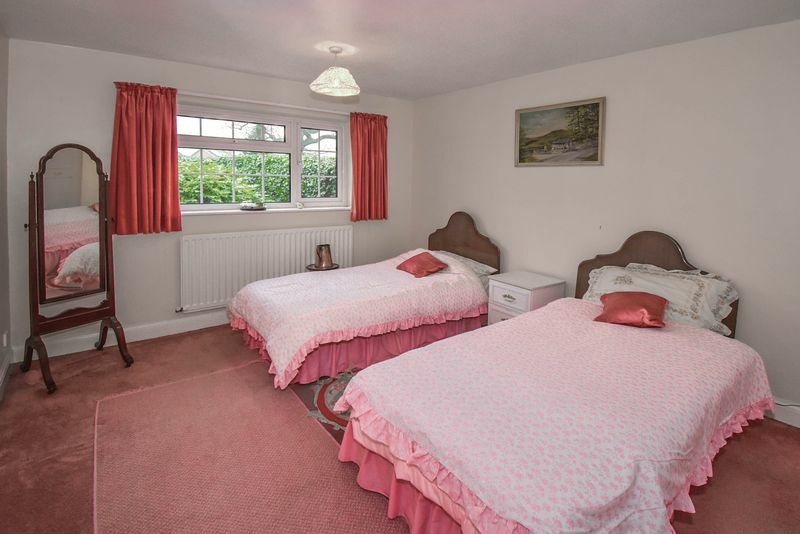 A spacious room which forms a hub for the home enabling access to all the rooms and garage. Built in cloaks cupboard and a built in cylinder storage cupboard. Impressive open plan L shaped combined reception rooms. PVC double glazed feature bow window to the front aspect. Gas fire with ornamental surround. Central heating radiator. Decorative ceiling cove. 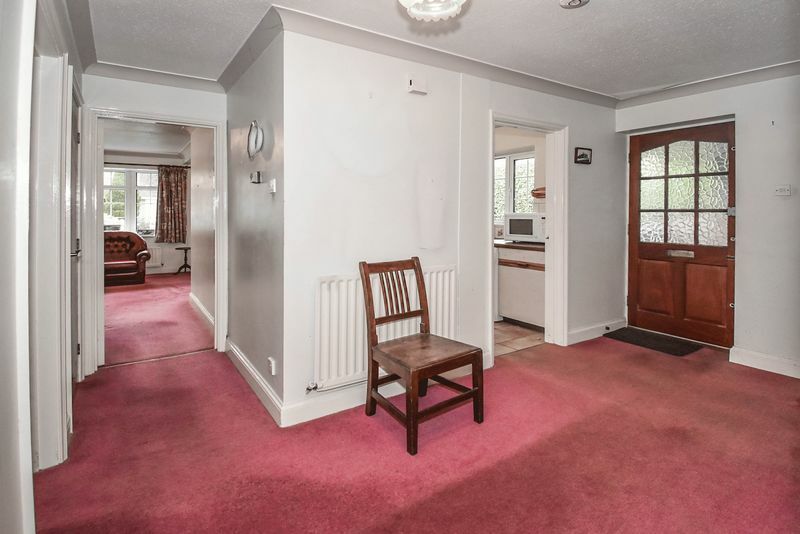 Open plan to the dining area. PVC double glazed window to the front aspect. Central heating radiator. Decorative ceiling cove. Service hatch to the kitchen. PVC double glazed window to the side aspect. 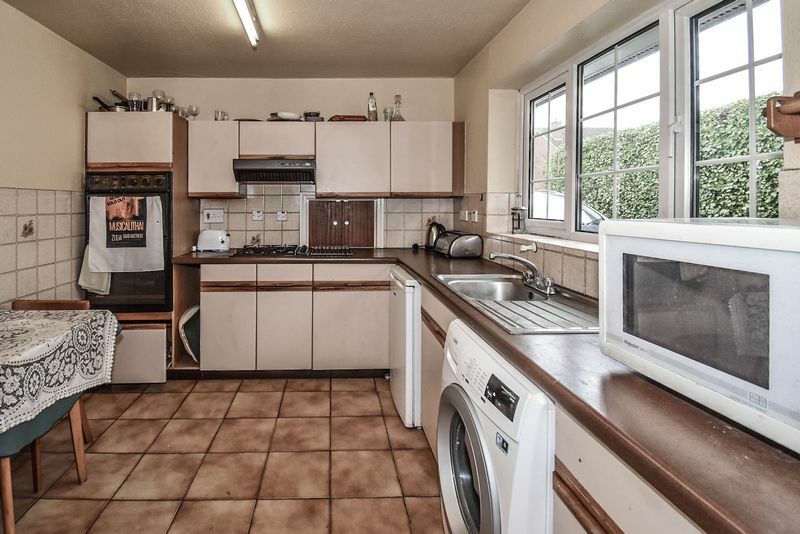 Kitchen suite with oven, hob, fan and sink unit. 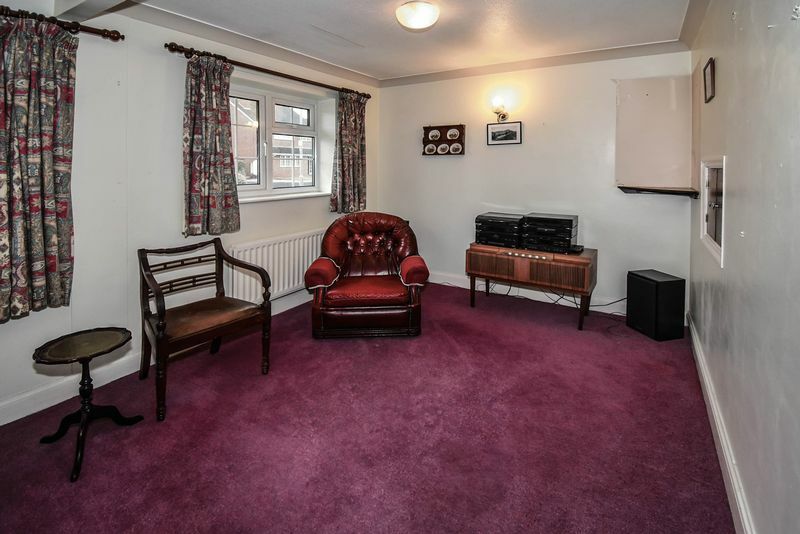 Space for a washing machine and fridge. Tiled flooring and walls. Central heating radiator. PVC double glazed window to the rear aspect. Central heating radiator. Built in wardrobes. PVC double glazed window to the rear aspect. Built in wardrobes. Central heating radiator. Frosted PVC double glazed window to the side aspect. 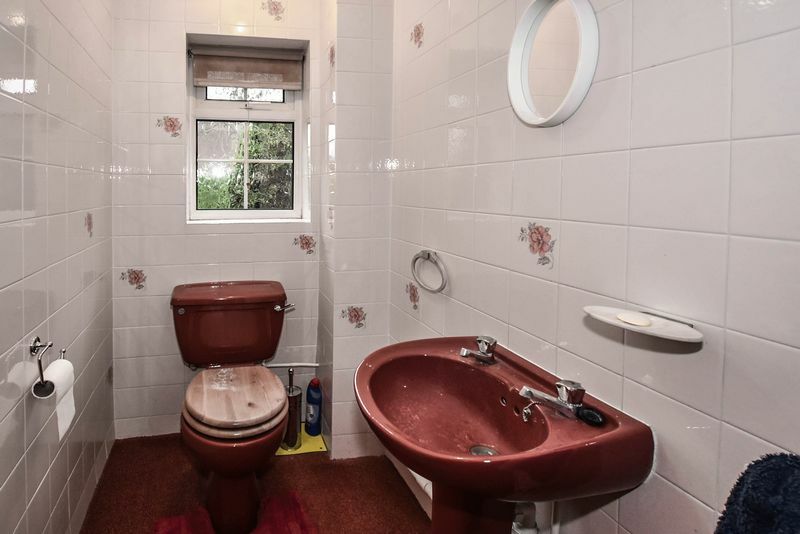 WC and sink and tiled walling. Central heating radiator. 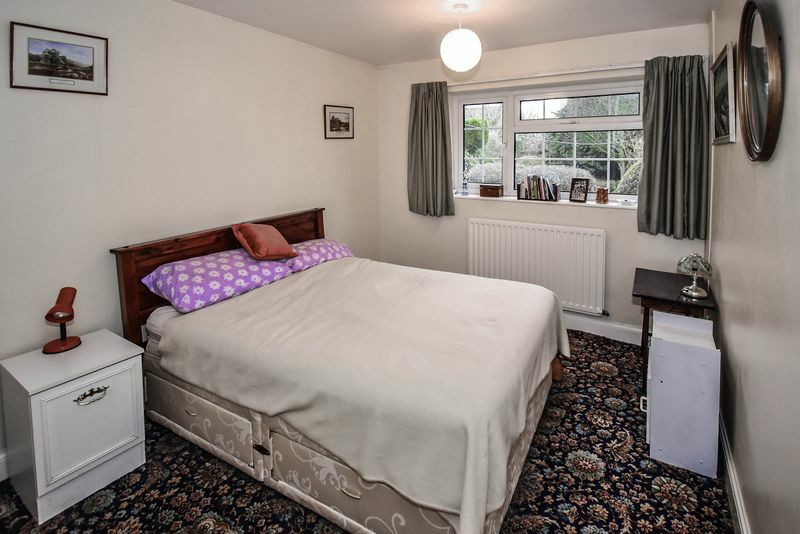 The room has potential to become an en-suite to bedroom one. Frosted PVC double glazed window to the side. 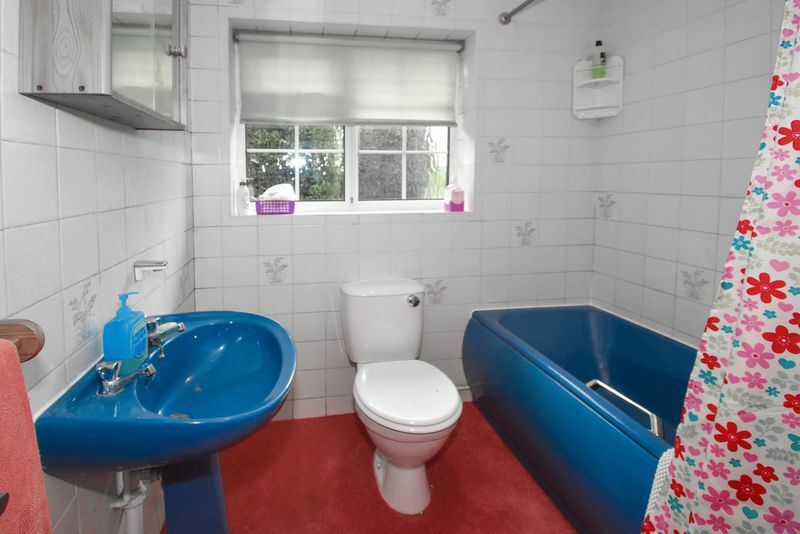 Suite comprising: bath with mixer shower taps; wc; sink; tiled walls; central heating radiator. Electric roller door. Part glazed personnel door opening to the garden at the rear. Solar panels are installed. We are informed by the vendors that the electricity generated by the panels is resold back in to the grid. We have a statement from the electricity board SSE which can be shared with you. The statement shows income of £772. The legal vendor is a different individual to the legal owner and so limited information is available at this stage and purchasers will be required to rely upon making their own enquiries.